The Lower Macungie Township Historical Society was formed in 1989, initially to save a log house built in about 1790 from demolition. The log house, in the village of Wescosville along busy Route 222, a former King's Highway, was moved a hundred yards west into a township park, where it is being maintained by the society. 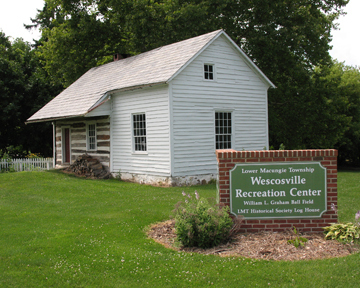 The Wescosville Log House is a typical example of Pennsylvania German log structure, which is not what most people imagine such buildings to have been. The homes were not “rustic” and “crude” like log cabins in other parts of the country, but rather were as comfortable as the larger stone homes being built at the same time. One of the least-recognized aspects of the Pennsylvania German log house is that they were commonly sided with clapboard, also called shiplap siding, which was then whitewashed. The logs were left exposed only under porch areas, which were already protected from the weather. These were also whitewashed. Interior walls were plastered as soon as time and money allowed, and whitewashed. The ceiling was usually exposed and not plastered but whitewashed. This structure was moved in the spring of 1989 from its original site to save it from being razed. The building was documented by a consultant in historic architecture during 1991. Restoration plans have been based on the advice in that report. 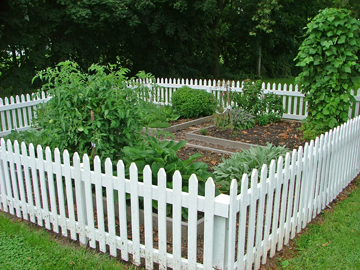 New material has been removed, the exterior restored to its original appearance, and a kitchen garden planted. The log house is open to the public during Society events, which are announced in our calendar and newsletter. Please come back in the next few weeks for more information about the log house, and upcoming events. The Log House was on the cover of the May 2014 Lower Macungie Life magazine, with a feature article by Sarajane Williams inside the magazine. Read about it here.